Once labeled the voice of al-Qaeda, the Muslim Brotherhood channel known as Al Jazeera has been desperately trying to present itself as a respectable “news” operation with high journalistic standards. Incredibly, the Arab/Muslim terrorist connections didn’t hurt the channel’s ability to move into the U.S. media market. But now, its treatment of some well-respected American professional athletes may have damaged the foreign-funded propaganda organization beyond repair. The Al Jazeera spin-off known as Al Jazeera America is accused in a lawsuit of using “false and unsubstantiated allegations” in order to damage the reputation of Washington Nationals baseball player Ryan Zimmerman, a major sports figure in the nation’s capital who raises money for charitable causes. Zimmerman and others are accused of using a performance-enhancing drug known as Human Growth Hormone (HGH). The suit says the unsubstantiated allegations were “based on uncorroborated accusations by a third party that had been unequivocally recanted” prior to the airing of the charges. That third party, Charlie Sly, apparently worked at the Guyer Institute of Molecular Medicine in Indianapolis, the alleged source of the HGH shipments, as a low-level employee. But it’s not exactly clear when that was, and he now claims he made up the allegations. The charges against Zimmerman and other professional athletes were included in a report titled, “The Dark Side: Secrets of the Sports Dopers.” It aired on December 27, 2015. Despite the channel’s foreign terrorist connections, a constituency for anti-American coverage has emerged in the United States. It has taken in not only Al Jazeera but Moscow’s propaganda outlet Russia Today (RT), which has a presence in tens of millions of homes through Comcast. Some are praising Al Jazeera America for trying to tear down a “white American hero,” a reference to Denver Broncos quarterback Peyton Manning, another target of the allegations. Al Jazeera claimed that HGH was provided to Manning through his wife, Ashley. Doping scandals and lying about them do occur in sports. In one of the most famous cases, bicyclist Lance Armstrong denied and then finally admitted to doping throughout his career. But so far at least, Al Jazeera’s “journalists” are the ones in this instance who are looking like dopes. Not only have they lodged unconfirmed charges against Zimmerman, Manning and others, but they have dragged Manning’s wife into the mess. Alluding to the questionable nature of the allegations and lack of evidence for them, Manning said, “I’m not sure how someone can admit making something up about somebody, admit that he made it up, and yet it somehow is published in a story.” Calling the charges “defamation” and hurtful to his family, he said he wouldn’t lose any sleep over the “lies” and would concentrate on winning NFL football games. Fighting back, one Manning supporter posted a comment on an Al Jazeera website that referred to “the lazy Arabs in Qatar,” the financial backers of the channel, being “the most overweight nation in the world.” Indeed, Qatar isreported to have “the highest per capita wealth in the world,” making it the obesity capital of the world, with over half the population overweight. As the charges go back and forth, serious questions are raised about how the foreign-funded channel went about documenting its allegations and whether its reporters and sources can be trusted. It’s possible that the allegations, no matter how questionable, could lead to more investigations of professional sports. But it may also be possible that the controversy over Al Jazeera America’s “reporting” will help prompt Congress to finally take a look at how this foreign-funded propaganda outlet literally bought its way into the U.S. media market. In that regard, Al Jazeera can fight the suit and even pay millions in damages, as a result of the deep pockets of the Emir of Qatar, and still stay on the air indefinitely. The case, however, sheds light on those in the media who take the channel seriously as a news outlet. Indeed, the Al Jazeera program was provided in advance to The Huffington Post, a sleazy, far-left news publication that published an article with an embedded link to the show on December 26. The Huffington Post regularly cooperates with Al Jazeera. Following up on the dubious story, Al Jazeera America has now run a column, “Blame capitalism for doping in sports,” which repeats many of the unsubstantiated claims against American pro athletes. The author, Bhaskar Sunkara, is described as the founding editor of Jacobin, a Marxist website. He conveniently ignores the fact that “capitalism” has been a draw for foreign athletes, including many who have fled Communist Cuba to get a chance to play in the major leagues. knew prior to publication that the sole source of the allegations had recanted these allegations. The allegation against Zimmerman not only damages the baseball player’s reputation, the suit says, but could damage his ability to raise money for humanitarian and charitable causes. “The financial impact of this harm on Mr. Zimmerman ultimately will be in the millions of dollars,” it says. The Zimmerman suit identifies Al Jazeera America as part of the Al Jazeera Media Network, “a Qatar-based news network that, upon information and belief is owned or funded by the government of Qatar.” Qatar is an oil and gas-rich Arab dictatorship which tolerates no freedom of the press at home. In fact, of course, there is much more to the Al Jazeera network, as Accuracy in Media has been reporting for years. The channel is a mouthpiece for the pro-terrorist Muslim Brotherhood, and was a faithful voice of al-Qaeda for many years. Explaining why the channel would go public with the false allegations, the suit notes that in 2013 the Al Jazeera Media Network spent $500 million to buy Current TV and start Al Jazeera America, but that it has been “plagued with low ratings” since its launch. In other words, the channel was desperate for ratings. The transaction enriched former Democratic presidential candidate and Senator Al Gore, one of the owners of Current TV. 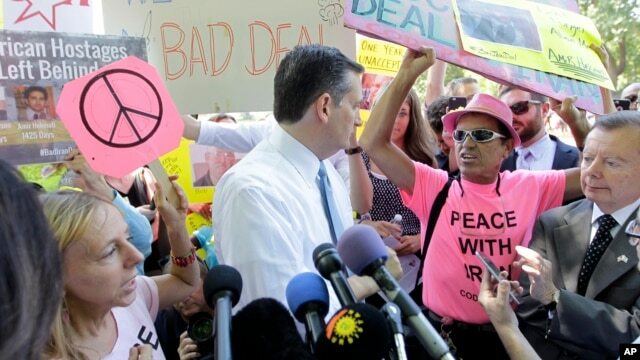 Congress refused to investigate the circumstances surrounding the unusual sale. It appears that the channel made up the news based on a dubious and unverified source. The suit names the assistant to Al Jazeera America reporter Deborah Davies as Liam James Collins, “a known fraudster and publicity-seeker.” Both Davies and Collins are citizens of Britain and are named as defendants. Davies went on Al Jazeera to defend the report. It appears, however, that the need for ratings and viewers took precedence over old-fashioned objective news reporting. Perhaps the Sunni Emir of Qatar ought to pull the plug on Al Jazeera and use the funds to buy some military equipment for defense against Shiite Iran. The Federal Communications Commission (FCC) is about the vote to let the Arabs, Russians and Chinese buy U.S. radio and TV licenses and force conservative broadcasters off the air. Jerry Kenney and Cliff Kincaid discuss the critical deadline coming up for public comment on this treasonous change in the law on foreign ownership of the U.S. media. The public must act now. Rep. Michael McCaul (R-TX), chairman of the House Homeland Security Committee, says the danger is great that the thousands of Syrian refugees coming into the United States will include terrorists who want to kill Americans. So what is he doing about it? He told Sean Hannity of Fox News the other night that he has sent a letter! This is the same Congressman McCaul who didn’t even respond to our letter two years ago asking for an investigation of Al Jazeera’s expansion into the United States. The February 11 hearing held by McCaul, “Countering Violent Islamist Extremism: The Urgent Threat of Foreign Fighters and Homegrown Terror,” was certainly worthwhile. But the idea that a letter to Rice is somehow sufficient to deal with the threat is laughable. Accuracy in Media learned and reported that Al Jazeera and its financial sponsor, the government of Qatar, had hired various K Street lobbyists to put pressure on McCaul and other Republicans to stop a probe into Al Jazeera’s operations on American soil. 2015 could be the worst year for civil unrest in the United States, since the Vietnam War era. 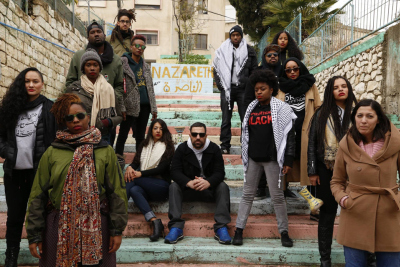 Representatives at the forefront of the movements for Black lives and racial justice took a historic trip to Palestine in early January 2015, to connect with activists living under Israeli occupation. Dream Defenders, Black Lives Matter, journalists, artists and organizers representing Ferguson, Black Lives Matter, Black Youth Project 100 (BYP100) and more have joined the Dream Defenders for a 10-day trip to the occupied Palestinian Territories and Israel. The trip came after a year of highly-publicized repression in Ferguson, the Gaza Strip and West Bank, including East Jerusalem, as well as solidarity between these places. “Community Organizer” Cherrell Brown said she saw many parallels between state violence against Palestinians and Black Americans. “So many parallels exist between how the U.S. polices, incarcerates and perpetuates violence on the Black community and how the Zionist state that exists in Israel perpetuates the same on Palestinians,” Brown said. “This is not to say there aren’t vast differences and nuances that need to always be named, but our oppressors are literally collaborating together, learning from one another – and as oppressed people we have to do the same,” she said. Delegate Cherrell Brown made no bones about the underlying ideology of the movement. The most well known delegate was leading leftist journalist and commentator Marc Lamont Hill, a contributor to HuffPost Live, BET News, and CNN. Hill was also very blunt about the “revolutionary” purpose of the trip. I predict, that unless firm action is taken at State and Federal levels, we will see significant radical inspired unrest on America’s streets this year. As the police struggle to contain the trouble, there will be provocations and police will be forced to use force to restore order. RT (Russia Today) and Al Jazeera will be on hand to film this “police brutality” and American police will be subject to the same inflammatory propaganda that the Israeli Defence Force has had to endure for decades. The Islamo-Communist Axis means to create chaos and to severely demoralize both Israel and the United States through a campaign of vilification against US and Israeli Defence and Justice systems. They aim to “soften up” both countries by turning them into self-doubting “pariah” states. This is way bigger than the also communist dominated Occupy Movement and far more dangerous to national security. The full list of delegates included five Dream Defenders (Phillip Agnew, Ciara Taylor, Steven Pargett, Sherika Shaw, Ahmad Abuznaid), Tef Poe and Tara Thompson (Ferguson/Hands Up United), journalist Marc Lamont Hill, Cherrell Brown and Carmen Perez (Justice League NYC), Charlene Carruthers (Black Youth Project), poet and artist Aja Monet, Patrisse Cullors (Black Lives Matter) and Maytha Alhassen. In your opinion readers, is it legitimate for the National Security Agency to be monitoring the communications of these people and others like them? What do you think? As incredible as it seems, an anchor for the terror channel Al Jazeera is hosting an upcoming “documentary” on “Hate In America.” It appears, based on a press release issued in advance, that the program will spend absolutely no time at all on the threats or hate directed against those who have been falsely labeled “Islamophobes” by such groups as the Southern Poverty Law Center and the Council on American Islamic Relations. In fact, the Southern Poverty Law Center (SPLC) is one of the “partners” producing the documentary along with Al Jazeera anchor Tony Harris. It is scheduled to air on February 23rd on the Investigation Discovery channel. Another “partner” is NBC News’ production arm, Peacock Productions. While there are certainly hateful incidents and crimes against blacks, homosexuals, and others, the idea that the SPLC should be put forward as a legitimate arbiter of what constitutes “hate” is laughable. It tends to be critical of people who write or act critically of radical Islam, the United Nations, President Obama or the homosexual lobby. The hate that has been generated against critics of radical Islam can be seen in the murder of 12 cartoonists, journalists and two police officers in France. President Obama on Wednesday called these terrorists “cowards.” But he had told the United Nations in 2012, “The future must not belong to those who slander the Prophet of Islam.” The French writers were connected with a magazine that published cartoons making fun of the Islamic prophet Muhammad. One of the dead writers was specifically named as a target by an al-Qaeda magazine. The SPLC targets its critics by name as well, labeling them “hate groups” and running photographs of officers and employees so they can more easily be identified. The group was implicated in the 2012 terrorist attack on the Washington, D.C. headquarters of the Family Research Council (FRC), when homosexual militant Floyd Corkins entered its offices and shot a security guard. He had intended to shoot and kill many others. An investigation found that Corkins identified his target on the website of the SPLC, which provides maps of locations of various alleged “hate groups,” as well as names of their leaders and officials. The FRC was listed as one such group. In fact, Ayers and his wife Bernardine Dohrn participated in bombing campaigns against people and police, and were open supporters of communist regimes in Hanoi and Havana. They use education as a weapon against “white supremacy” and capitalism. In a column on the hate crimes racket, we noted that the media strategy behind SPLC’s use of the “hate” label to describe conservatives serves to demonize them and convey the impression that they should not be taken seriously and are outside the mainstream. In the case of the FRC and other Christian organizations, the SPLC’s main objection is to the group’s mission of documenting the harm that is caused by homosexual behavior and promiscuity to society, the family, and the individuals practicing it. The fact that an anchor for Al Jazeera would be part of a program on “hate” is simply beyond belief. Al Jazeera is the channel of the Muslim Brotherhood, a group linked to various Islamic terrorist groups such as Hamas. Its financial sponsor is the terrorist-supporting government of Qatar in the Middle East. The SPLC lists its enemies by name, identifying their cities and towns, thus making it easier for violent lunatics and terrorists to find them. Such was the case with the FRC. This writer was named on one SPLC list of “30 new activists heading up the radical right.” That, in turn, was picked up by the Council on American Islamic Relations (CAIR), which included me on a list of “Islamophobic individuals.” All such claims are demonstrably false and designed to silence the exercise of one’s First Amendment rights. In more extreme cases, such as the FRC case, the SPLC’s attacks can make those named into targets and victims of violence or terrorism. Nevertheless, the Investigation Discovery (ID) channel is giving the SPLC unwarranted positive national publicity. The channel describes itself as one of the nation’s fastest growing cable networks, delivering programming to nearly 85 million U.S. households. Its claim about delivering the “highest-quality programming” to news consumers has now come into serious dispute, at a time when throwing around the term “hate” can have fateful consequences. The channel can be contacted at (240) 662-3709.